For more than a decade, a movement to reverse US policies for food aid has built momentum among some analysts and Europeans who have lobbied hard to reform how the United States provides food aid overseas. The arguments have been largely the same for over 15 years, and they come largely from outside the food aid community, without reference to the community of humanitarian relief and development agencies who originally lobbied for our food aid legislation, who routinely have to analyze local food needs and markets in countries, and who then implement the food programs, evaluating their lessons afterwards. To start, no one disputes the reality is that US food aid has had enormous good in the world, largely in the form of battling hunger. Reducing hunger is the goal of these aid agencies. The challenge is how to reduce malnutrition where it is high, increasing or out of control. However, the reform movement skirts talking about nutrition or food security, which Congress defines as the goals of food aid. 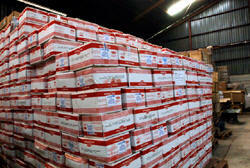 It focuses only on certain dimensions of logistics, arguing for replacing food aid with cash. The reform platform argues that food aid surely must be inefficient because it costs money to ship food, and surely it hurts these countries because they should not need to import foods to combat hunger in their borders. But the reform movement neglects two aspects of food aid. First, almost all the countries where USAID food aid is provided are net food importers of food commercially. NGOs do not try to bring food into countries that are awash in local grains and have no hunger. Second, more than half of US food aid targets zones of crisis, including famines and wars, where food markets are disrupted already, and people cannot access food. Buying food in these markets (instead of providing food) poses far greater problems and risk to these locals. Yes, food aid is an inefficient form of assistance in many places in the world. It is not necessarily inefficient, however, for those parts of the world where there is a severe, overall shortage of food, places like Yemen, Ethiopia and refugee camps. US food aid rests within a larger fabric of food aid from many countries, channeled often through the World Food Programme. When the US responds to food needs in many countries, the WFP already is pursuing creative local-sourcing options. Today, the US remains one of the only providers of actual food overseas, to address imbalances in places like North Korea, South Sudan, Somalia, DRC and Syria. The food aid reform platform complains repetitiously about how US food aid is shipped on expensive US ships (carriers). US food aid has been required by Congress to be on US-flagged ships (US-based companies). This is referred to as “cargo preference,” meaning some preference is giving to US ships. The reform community argues that Asian and European fleets are less expensive. These facts have not been in dispute. But, the reason for Cargo Preference, as articulated by the very powerful Pentagon lobby decades ago, is that this subsidy helps the US to have some minimal fleet of merchant vessels legally based in the US. Otherwise, the trend has been for the US to have no US-based marine fleets at all, which many security analysts feel can be a weak link in times of war. (Just think of Dunkirk). So, food aid reform is really not about food aid at all, it’s about whether the US deems it valuable to maintain a merchant marine fleet, enabled by subsidies. Another mantra of reform is to do away with “monetization” or food sales, which NGOs lobbied for in the late 1990s. During the 1992 and 2010 Somali famines, when there was an overall shortfall of food in the country, and the prices were so high that Somalis could not buy foods in their local markets, the efficient response was to sell food into those markets, infusing food across the country, reaching all. In both cases, US food aid in fact was used in this manner, in a way that other donors, will not do today, nor WFP. US food aid has that flexibility, in part because it is works with a range of partners: with non-governmental organizations, IOM, Unicef as well as WFP. Overall, the reform movement argues against monetization in a broad brush-stroke manner, as though all monetization surely must be wrong, because, after all, markets are the enemy of the poor. But they neglect the fact that monetization exists because of years of lobbying and education of Congress by NGOs like CARE, CRS, Save the Children, World Vision, and others, who are able to flexibly use the proceeds of local food sales to save lives, strengthen health systems, promote innovative nutrition outreach, fortify foods with micronutrients, etc. When the reform platform asserts that all monetization is inefficient they cite none of the extensive data that has been arrayed and compared. Yet, before any NGO is approved to conduct monetization in any country, they have long been required (by Congress) to analyze the local markets and determine whether or not the monetization – or direct food distributions – will harm the local food economy there. A key reason why NGOs and the community of aid workers who live with the poor overseas, programming US food aid, have hesitated to support the reform movement is their worry that if the Foreign Affairs committees convert these programs into all “local” purchases overseas, then over time, the constituencies in the US supporting food aid all along will dissipate. Eventually, USAID will be making choices about whether to buy food in, say Tanzania, or – instead — medicine, seeds, ballots, training services, electric generators or any of the great many other things we spend money on in our broader aid program. And then food aid, which is expensive overall, will lose out. Maybe food aid should lose out. Maybe the US should give less food overall, in respect to all the other forms of aid the US gives. Maybe the US should stop being a leader, and allow other donor countries like China, Brazil, Russia and France give more to stop famines. But the reform movement avoids addressing that. The American people have expressed themselves millions of times (including through their Congresspersons) as caring about hunger. The food aid reform debate may want to start from that discussion: how to reduce hunger and what the public wants to see done in their name. About the Author: Steve Hansch is a WHES Board Member with a two decade long standing association with Hunger Notes.